In a new generation of hotel design, innovation has become a key mantra. The use of AI and the infinite applications provided by the internet has changed the entire landscape. Innovation should be embraced with more than technology. New ideas of workflow and organisation are making inroads into traditional hotel keeping. Dr Carlos Martin-Rios, Associate Professor at Ecole hôtelière de Lausanne, conducted a study to see if an increased knowledge of innovative practices by hospitality businesses supports the integration of innovation into business strategy. The study reports that a quarter of businesses believe that innovation will be outsourced, that the majority of small businesses believe that innovation is not for them as they lack the resource, and that bigger international multi brand businesses are better prepared for the challenge. The study highlights that there is one leading innovation factor: highly innovative firms have typically engaged in non-technological innovation. Research shows technological innovation alone will not be sufficient to hold competitive advantage over the long term. Therefore harnessing non-technical innovation (in organizational innovation, workplace, marketing strategy or business models) is critical. The study highlights that there is one leading innovation factor: highly innovative firms have typically engaged in non-technological innovation. Given the often conservative nature of hotel management, external help may be essential in creating change that encompasses ideas beyond electronics. Fresh thinking is needed in terms of administration, sales and marketing. The industry is being seduced by small groups of specialists who bring fresh ideas as to how to organise and provide hospitality. Much of this new focus is on three strands, design, people management and accountancy. Hotel design that reflects the lifestyle a guest aspires to accounts for nearly half of the satisfaction that customers highlight as important during their stay. Service is the other issue, and innovation in the hiring field to ensure that the right attitude and personality ranks to the same level as competency and experience. Human Resource departments are taking more cognisance of the cultural and social issues that affect good hiring rather than the just the ability to perform the job. Much of this new focus is on three strands, design, people management and accountancy. Design that reflects the lifestyle a guest aspires to accounts for almost half of the satisfaction that customers highlight as important during their stay. In accountancy new methods of banking and treasury management have provided significant advantages especially for smaller firms. Banks such as Tide are giving low cost base money management and faster response than the traditional high street alternatives. So innovation is not all about turning a hotel into an electronic campus of labour saving devices and easy access to the information highway. The opportunities to reduce cost base and create better guest experiences have never been greater, but these must be demand-led, inclusive, sustainable, and certainly open to external collaboration. International Consultant, Director of MRP Hotels Vienna, Non-Executive Director of MIC Ltd.
An international consultant based in London with experience spanning five continents. Primarily focused on helping independent hotel and serviced apartment businesses maximise their asset values and operating returns. Clients include international hotel brands, European banks, investment and securities firms, property developers and hotel owners. Well versed in luxury operations with a focus on business improvement, customer service and satisfaction. Proven track record of improving revenue generation, profit and quality assurance. Extensive network of associates and contacts both in hotel operations and the international travel trade. 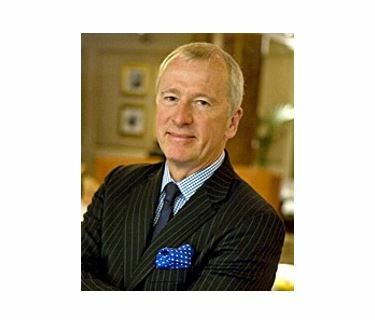 Derek Picot holds non-Executive Directorships with MIC Ltd who own and operate the Wesley Brand of Hotels and the Hyde Park Residences. He is also Director of MRP Hotels Vienna.